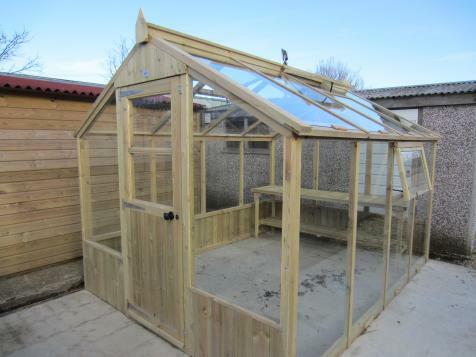 Is Your House & Garden Becoming Cluttered With Tools, Toy’s & Junk? 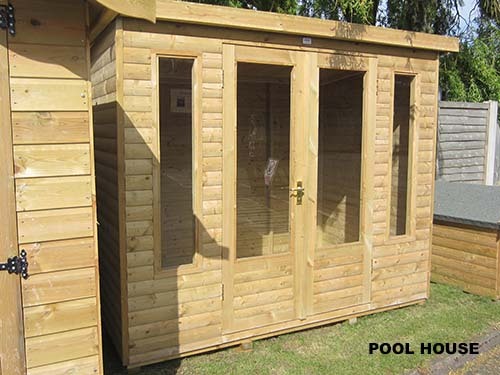 Would You Like Somewhere Sturdy, Safe And Practical To Store Everything? 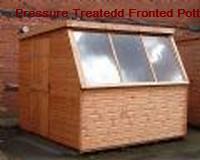 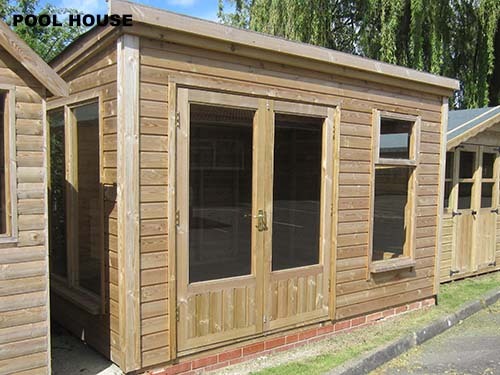 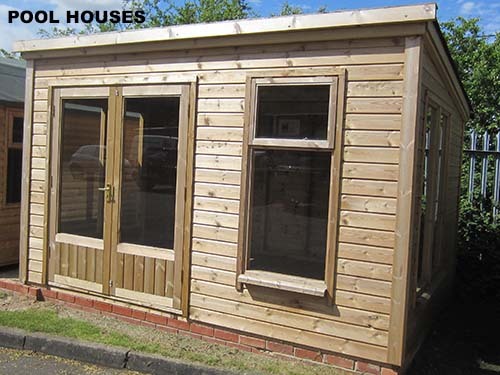 Then Have A Look At Our Comprehensive Range Of Quality Pressure Treated Sectional Garden Buildings, From Storage Sheds, Garages To Summer Houses! 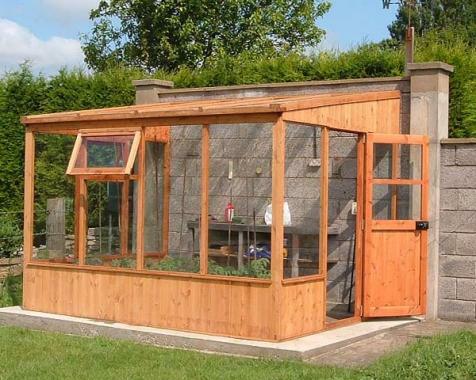 Wherever You Decide To Place Your Sectional Garden Building, We Have The Expertise And Knowledge To Recommend The Correct Size And Materials To Suit. 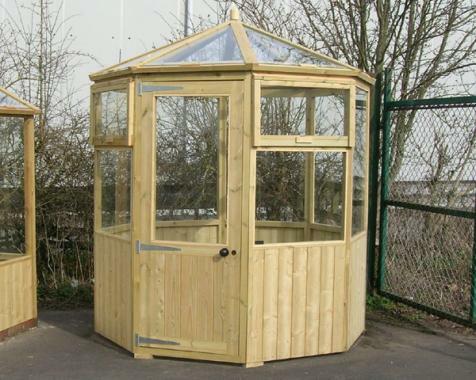 All Sectional Garden Buildings Are Delivered And Erected On Site Although A Level Concrete Base Must Be Prepared In Advance Of The Delivery. 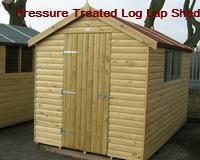 Or Optional: Pressure Treated 19mm Finished Heavy Duty Log Lap. 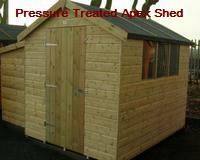 Pressure Treated 19mm Finished Heavy Duty Log Lap. 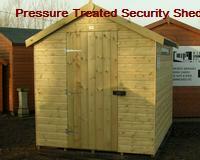 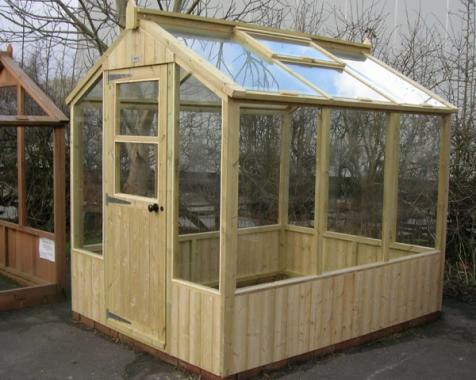 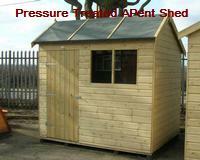 Apex Sheds: Standard Eaves 5’ft 4” High, Ridge Height 7’ft 1” (Approx), Door 70.5” High (Approx). 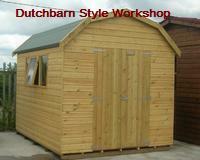 Workshops: Eaves 6’ft 4” High, Ridge Height 8’ft 1” (Approx), Door 70.5” High (Approx). 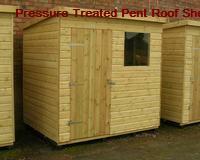 6’ft Wide Pent: 6’ft 6” Front Down To 6’ft Back. 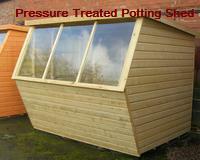 8’ft Wide Pent: 7’ft Front Down To 6’ft 6” Back. 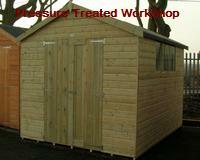 Workshop Door: 4’ft Wide Double Door Standard Or 3’ft Wide Single Door.